Properties in Town of Mount Kisco average 4.8 out of 5 stars. Cozy Quiet Cottage w/ Fire Place! 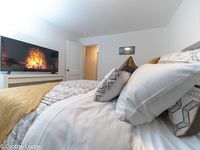 Property 7: Cozy Quiet Cottage w/ Fire Place! Property 9: Holiday cozy country cottage! Property 11: Comfort 4 U !!!!!!!! A Highly Safe, Upscale Country Hideaway, Pet Friendly. Property 12: A Highly Safe, Upscale Country Hideaway, Pet Friendly. Beautiful Country Retreat Just One Hour from NYC! Property 13: Beautiful Country Retreat Just One Hour from NYC! A dream summer rental 30 miles from New York City in picturesque Bedford, NY! Property 20: A dream summer rental 30 miles from New York City in picturesque Bedford, NY! 2-Br Stylish Apt & Sauna in Woods with Self check-in. Property 24: 2-Br Stylish Apt & Sauna in Woods with Self check-in. Pretty Stone Home, Quiet Lane in Mid-country Greenwich, Ct Privacy! Property 26: Pretty Stone Home, Quiet Lane in Mid-country Greenwich, Ct Privacy! Greenwich Farm House in a Country Setting with a pool. 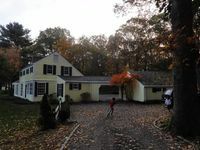 Property 37: Greenwich Farm House in a Country Setting with a pool. Property 39: Divine Country Home, Waterfront! I was skeptical about staying in an apartment but once I got there I have to say it was wonderful. The apartment had everything you could imagine and I am sure Marie could get clothes for you if you needed them. She is a wonderful host and the pictures say it all. I felt like I was staying at a friend's home instead of a hotel. I had a relaxing stay even though there was ice and snow. On my next trip I will definitely stay there and encourage anyone looking for a nice place to stay there too. You won't be disappointed. Thank you Maria for opening up your home to me and I hope to see you soon.